If the A6 chip is fast, the A7 present in the iPhone 5s is twice faster in terms of CPU performance. It’s also the very first smart phone in the world to boast of a 64-bit processor, making its speed comparable to desktop computers. Coupled with the iOS7, which was specifically designed to be compatible only with 64-bit, you get the fastest phone to date. If LTE is currently the fastest Internet network on mobile, wait till you hear that the iPhone 5s has 13 bands to boot. That’s the most any smart phone can ever have. Since the iOS7 was introduced earlier, let’s get acquainted with it even more. This operating system features all new technologies including the Touch ID fingerprint identity sensor, AirDrop (for file sharing), Control Center, and multitasking. This can be considered the most advanced OS as of the moment. Going back to the A7, it works with the OpenGL ES version 3.0, enabling the phone to display detailed graphics and vivid visual effects equivalent to computers and gaming consoles. iSight isn’t the only tool improved. The FaceTime HD camera now has larger pixels and improved backside illumination sensor. The M7 coprocessor works hand in hand with the A7. It minimizes usage of the processor in order to save battery. When your phone turns idle, network pinging is also reduced for greater efficiency. The most daring colors ever produced. 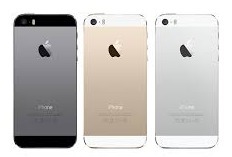 It includes the highly publicized gold as well as silver and the most popular among the three, the space gray. The iPhone 5s offers even more such as free apps, over 900,000 selections on the app store, iCloud services, AppleCare+ (extended warranty), and so on. The features discussed above, however, are enough to make the iPhone 5s stand out in the mobile world. This entry was posted in Articles, iPhone and tagged iphone 5s. Bookmark the permalink.